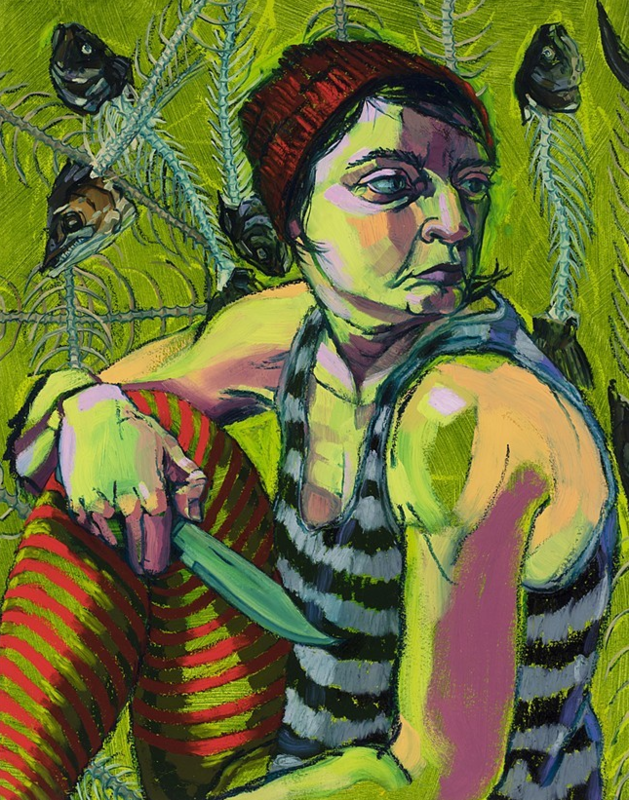 Painter and alumna Dara Engler (’18) will be exhibiting at the Arnot Art Museum this fall. Her solo exhibit ” A Pirate’s Guide to Survival” will include many works that were created during her Saltonstall residency this summer. Opening reception: Thursday, September 13 from 5:30 – 7:30pm. The Arnot Art Museum is located at 235 Lake Street, Elmira, NY. The exhibition will be on view September 4 – December 1. She has been included in New American Paintings and Manifest’s International Drawing Annual, received a fellowship to attend the Vermont Studio Center residency, was recently included in a pop-up show at First Street Gallery in Chelsea, NY, and has a forthcoming solo exhibition at the Gatewood Gallery at the University of North Carolina, in Greensboro. She teaches painting and drawing at Ithaca College.